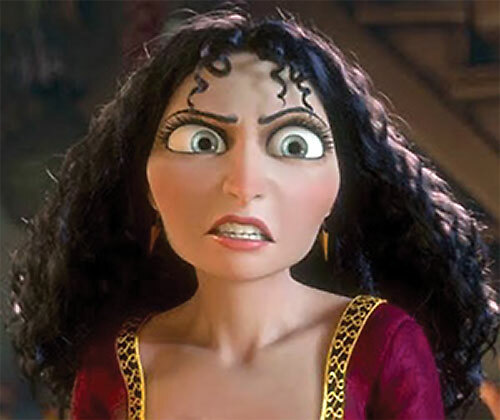 Mother Gothel is the main antagonist in 2010 Disney movie Tangled (the one with Rapunzel). Known Relatives: Rapunzel (kidnapped then adopted daughter). Base Of Operations: In the forest near the hidden tower. Height: 5’6” Weight: 110 lbs . Mother Gothel has no powers to speak of. However, she is extremely stealthy, able to slip up on quite perceptive people like Rapunzel and Flynn Rider. The thing that makes Gothel so dangerous is that she will go to any lengths to stay young. Though she is not a fighter, she can definitely do a backstab (in DC Heroes terms, Blindside with a Critical or Devastating Blow) and has no problem entering Killing Combat. 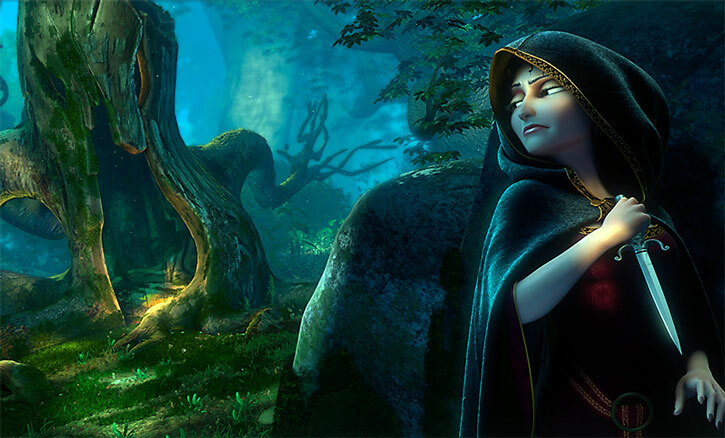 Mother Gothel seems to know the forest well. It’s never said but I get the impression she’s an herbalist, likely in her home area only and perhaps this is why she was the first to find the magic flower. She does mention traveling for three days to get paint for Rapunzel made from shells. So, she does travel far, but not too far. The origin of the song that causes the flower to make her young is unknown. Mother Gothel at least knew this much so I’ve given her a little knowledge of the Occult. 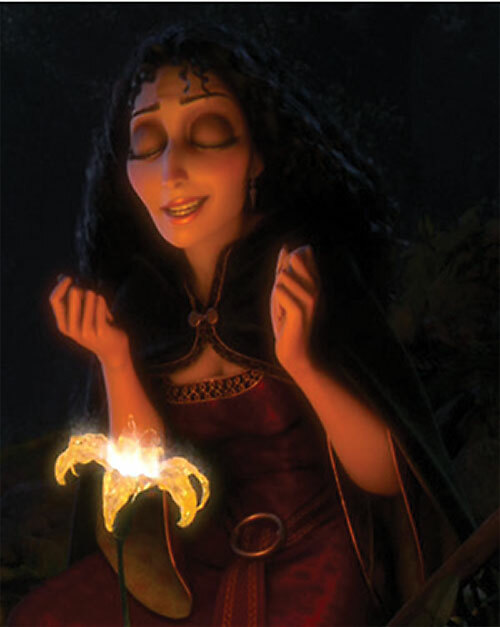 Mother Gothel chanced upon the Golden Magic flower and hoarded its power. She sung its song to make herself young again and again for centuries. When the Queen became ill and the flower was taken from her, Mother Gothel would stop at nothing to get it back. When she learned it had been made into a potion that the Queen drank she suspected that the flower’s power may have passed to her child. One night, she stealthily entered the Castle and knelt over the newborn baby resting in her crib. She sang her tune again and to her joy the child’s hair glowed as the flower before. It began returning her youth to her. Mother Gothel reached out and cut a lock of the child’s hair. But she gasped in shock as it immediately lost its power and the cut hair turned brown. Her only choice was to kidnap the child if she were to retain her youth. And that’s just what she did. Mother Gothel lived with her “flower” in a tall tower in the forest hidden in a natural vale. However, as Rapunzel grew older and more curious about the outside world it became more challenging to keep her under control. 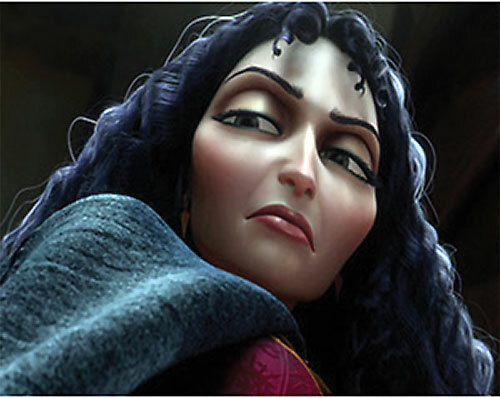 Actually Mother Gothel is an old woman with White-grey hair, wrinkled face and sunken eyes. After the song is sung she appears perhaps 30-something with a fit figure and curly black hair. 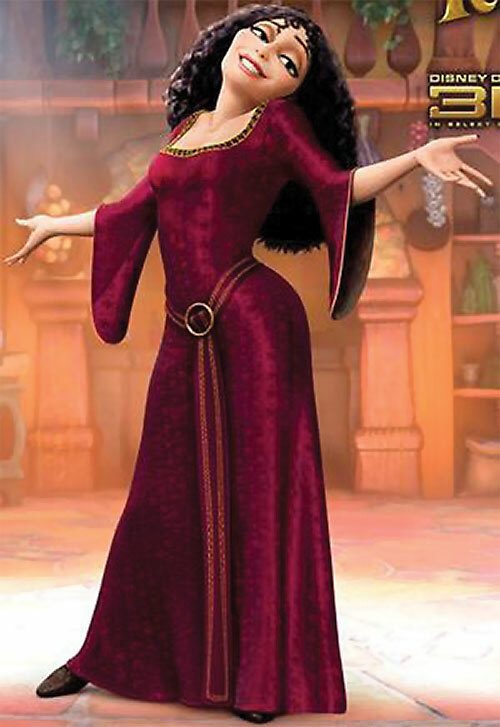 Mother Gothel usually wears an ankle length dress and a traveling cloak with hood. 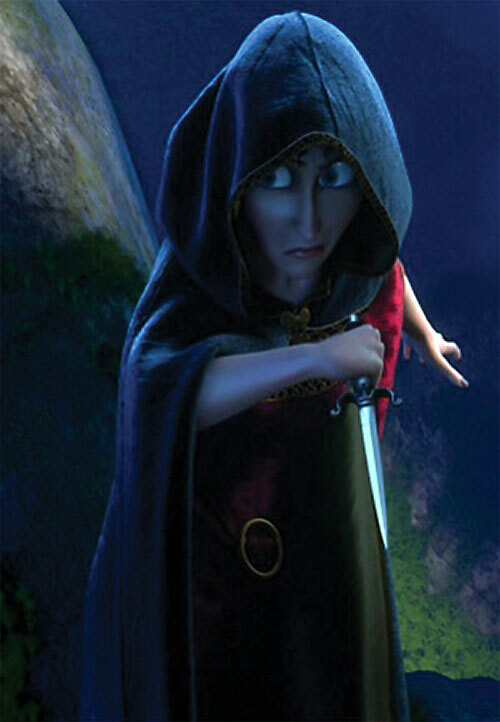 Mother Gothel would smile at you while stabbing you in the gut. She loves to be in control and when she’s getting her way will gloat and make fun of others. She tends to stand tall and look down her nose at others. Over the years she has sharpened her abilities to manipulate others on Rapunzel. However, this backfired because Rapunzel also became good at seeing the manipulation for what it was. When things aren’t going her way she instantly shows it on her face, snarling and shouting or staring in shock as her plans come unraveled. If she cannot get things back under control through her charismatic and witty tongue she has no issue with reducing herself to violence to get what she wants. 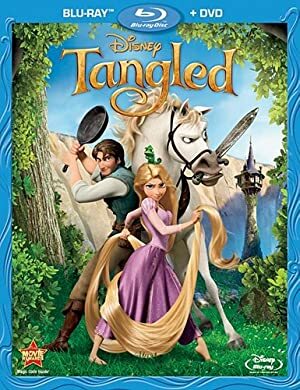 I suppose the entire cast of Tangled could be transplanted into the Fables storyline which is part of DC. Source of Character: Disney’s 2010 animated film Tangled, Character voiced by Donna Murphy. Writeup completed on the 19th of November, 2011.